NetVizura NetFlow Analyzer - Features. 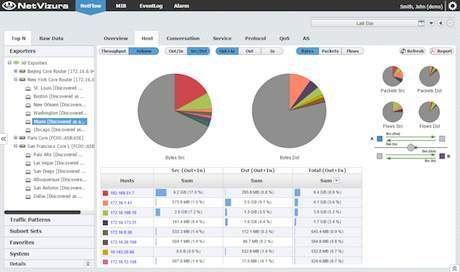 NetFlow Analyzer collects NetFlow records exported from widely used routers and multilayer switches from Cisco and other vendors. Cisco NetFlow® protocol v5 and v9 (which supports advance network technologies such as IPv6) are supported. 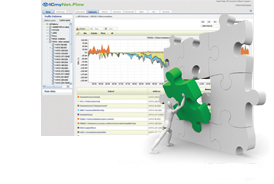 NetVizura also supports IPFIX®. The User interface is delivered via the advanced NetVizura Web Application making the system easily accessible from any part of the network or from the Internet. Personalised user accounts allow secure access with several levels of access privileges. Traffic Patterns. Define your Traffic of Interest. 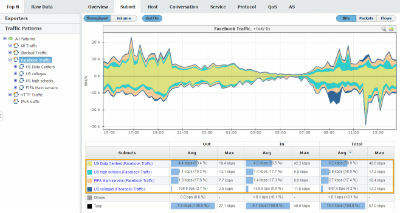 With NetVizura you can monitor traffic by Internet traffic, Email traffic, YouTube, Facebook etc. blocked traffic, open ports etc., datacenter, servers departments regional and city offices. 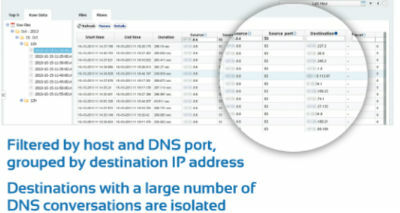 With NetVizura, your entire network can be divided into logical structures based on IP address ranges (Traffic Patterns) and then further divided into subnets and then grouped by logical criteria into subnet sets enabling all network statistics to be available for each Traffic Pattern, subnet and subnet set. In this way, you can establish a fully customisable hierarchy of your network. All statistics are available per Traffic Pattern and associated subnets hierarchy and by exporters and associated interfaces for various parameters and measurement units. Threshold based alarms can be defined on any type of monitored node and can be based on bit/s, flow/s, packet/s for any kind of monitored traffic. Thresholds can be combined to create complex alarm triggering conditions and alarms can be sent via email to the relevant users as defined in the alarm. Statistics based on aggregated data are stored and all collected flow records are also saved in the archive files as Raw Data. This means that statistics about each and every network conversation is preserved being particularly useful for detailed review and searching of specific events in the network, such as hacker attacks, virus activities, excessive bandwidth consuming, etc. NetVizura has powerful search capabilities and compressed archive storage enabling large amounts of historical data to be analysed at a later date and saved in as less space as possible. Top 7 Reasons You Should be Using NetFlow. 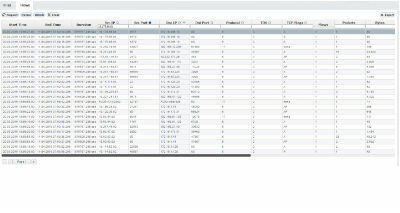 See a Live Demo of NetFlow Analyzer. 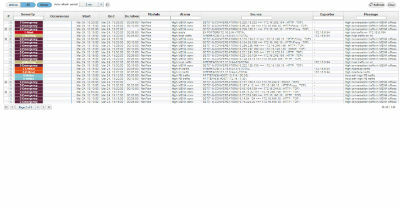 Download NetFlow Analyzer 30-Day Trial.